View your cart summary for tax and shipping charge itemization. *Tax and shipping calculation detail on full cart summary. Click checkout or close this window and click the cart above for your full cart summary. Add a miniature table to instantly create your dollhouse's eat-in kitchen. 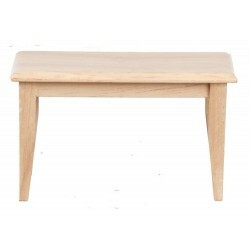 Each of our miniature kitchen tables is crafted of high-quality materials. Also, browse through our kitchen and dining room chairs to find matching seating. 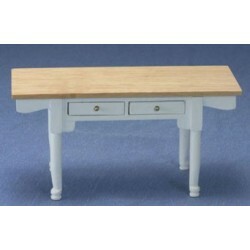 Redecorate and redesign your dollhouse with this Kitchen Table/oak/cb. Your decor and collection of miniatures will be taken to another level of fabulosity. 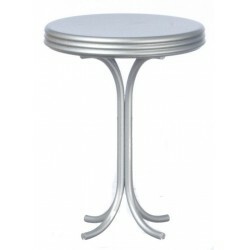 You will love this Round Tall Table/silver as it complements your other miniature dollhouse furnishings. Now is the time to design a great new look! Adding this Vermont Table Oak & White to your miniature collection is just what you need to make your dollhouse a home, and showcase your fabulous taste. 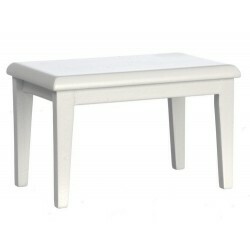 You will love this Kitchen Table/white/cb as it complements your other miniature dollhouse furnishings. Now is the time to design a great new look! Adding this White Round Kitchen Table to your miniature collection is just what you need to make your dollhouse a home, and showcase your fabulous taste. 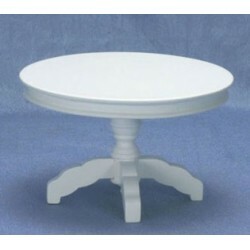 Miniature White Round Kitchen Table from our Dollhouse Kitchen Furnishings product line. 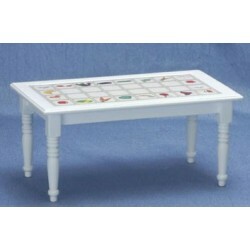 You will love this White Fruit Decal Kitchen Table as it complements your other miniature dollhouse furnishings. Now is the time to design a great new look! Miniature White Fruit Decal Kitchen Table from our expansive line of Dollhouse Kitchen Furnishings. 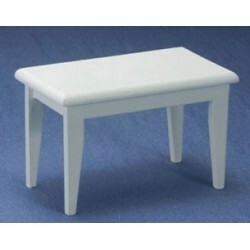 Enhance your dollhouse collection with this White Kitchen Table. Added to your other dollhouse miniatures, it is a complement for a variety of styles and tastes. 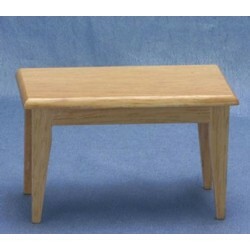 You will love this Kitchen Table Oak as it complements your other miniature dollhouse furnishings. Now is the time to design a great new look! Adding this Table, White to your miniature collection is just what you need to make your dollhouse a home, and showcase your fabulous taste. 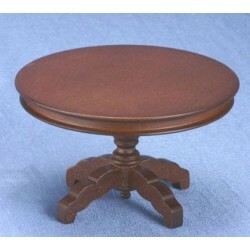 You will love this Round Table/Walnut as it complements your other miniature dollhouse furnishings. Now is the time to design a great new look! 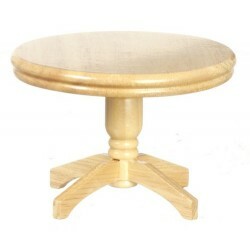 Adding this Round Table/oak to your miniature collection is just what you need to make your dollhouse a home, and showcase your fabulous taste. You will love this Kitchen Table, Walnut With Fruit Decal as it complements your other miniature dollhouse furnishings. Now is the time to design a great new look! 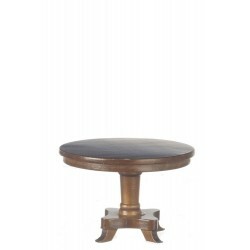 Enhance your dollhouse collection with this Round Table/Mahogany. Added to your other dollhouse miniatures, it is a complement for a variety of styles and tastes. 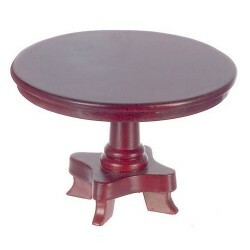 You will love this Walnut Round Pedestal Table as it complements your other miniature dollhouse furnishings. Now is the time to design a great new look! Adding this Kitchen Table, Black With Tile Decal to your miniature collection is just what you need to make your dollhouse a home, and showcase your fabulous taste. 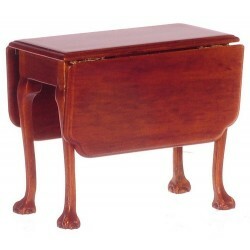 You will love this Jefferson Drop-leaf Table as it complements your other miniature dollhouse furnishings. Now is the time to design a great new look! 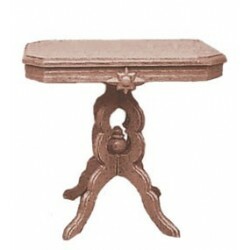 Adding this VICTORIAN TABLE KIT, BROWN to your miniature collection is just what you need to make your dollhouse a home, and showcase your fabulous taste. 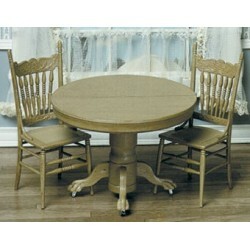 Spruce up your dollhouse with this miniature ROUND TABLE W/2 CHAIRS KIT. We have many miniature Kitchen Tabless for that finishing touch. Send Us A Message: https://www.superior-dollhouse-miniatures.com/contact-us.